Limits on the cross section for weakly interacting massive particles (WIMPs) elastic scattering on nuclei in NaI(Tl) detectors at the Yangyang Underground Laboratory are obtained from a 2967.4 kg·day data exposure. The nuclei recoiling from the scattering process are identified by the pulse shape of the scintillation light signals that they produce. The data are consistent with a no nuclear-recoil hypothesis, and WIMP-mass-dependent 90% confidence-level upper-limits are set on WIMP-nuclei elastic scattering cross sections. These limits partially exclude the DAMA/LIBRA allowed region for WIMP-sodium interactions with the same NaI(Tl) target material. The 90% confidence level upper limit on the WIMP-nucleon spin-independent cross section is 3.26×10−4 pb for a WIMP mass of 10 GeV/c2. D. Clowe et al., A direct empirical proof of the existence of dark matter, Astrophys. J. 648 (2006) L109 [astro-ph/0608407] [INSPIRE]. G. Jungman, M. Kamionkowski and K. Griest, Supersymmetric dark matter, Phys. Rept. 267 (1996) 195 [hep-ph/9506380] [INSPIRE]. G. Bertone, D. Hooper and J. Silk, Particle dark matter: evidence, candidates and constraints, Phys. Rept. 405 (2005) 279 [hep-ph/0404175] [INSPIRE]. DAMA collaboration, Search for WIMP annual modulation signature: results from DAMA/NaI-3 and DAMA/NaI-4 and the global combined analysis, Phys. Lett. B 480 (2000) 23 [INSPIRE]. DAMA collaboration, First results from DAMA/LIBRA and the combined results with DAMA/NaI, Eur. Phys. J. C 56 (2008) 333 [arXiv:0804.2741] [INSPIRE]. DAMA, LIBRA collaboration, New results from DAMA/LIBRA, Eur. Phys. J. C 67 (2010) 39 [arXiv:1002.1028] [INSPIRE]. LUX collaboration, Results from a search for dark matter in the complete LUX exposure, Phys. Rev. Lett. 118 (2017) 021303 [arXiv:1608.07648] [INSPIRE]. PandaX-II collaboration, Dark matter results from first 98.7 days of data from the PandaX-II experiment, Phys. Rev. Lett. 117 (2016) 121303 [arXiv:1607.07400] [INSPIRE]. DM-Ice collaboration, First search for a dark matter annual modulation signal with NaI(Tl) in the Southern Hemisphere by DM-Ice17, Phys. Rev. D 95 (2017) 032006 [arXiv:1602.05939] [INSPIRE]. PICO-LON collaboration, Dark matter search project PICO-LON, J. Phys. Conf. Ser. 718 (2016) 042022 [arXiv:1512.04645] [INSPIRE]. COSINUS collaboration, Results from the first cryogenic NaI detector for the COSINUS project, 2017 JINST 12 P11007 [arXiv:1705.11028] [INSPIRE]. KIMS collaboration, Limits on WIMP-nucleon cross section with CsI(Tl) crystal detectors, Phys. Rev. Lett. 99 (2007) 091301 [arXiv:0704.0423] [INSPIRE]. Kims collaboration, First limit on WIMP cross section with low background CsI(Tl) crystal detector, Phys. Lett. B 633 (2006) 201 [astro-ph/0509080] [INSPIRE]. UK Dark Matter collaboration, Limits on WIMP cross-sections from the NAIAD experiment at the Boulby underground laboratory, Phys. Lett. B 616 (2005) 17 [hep-ex/0504031] [INSPIRE]. DAMA collaboration, The DAMA/LIBRA apparatus, Nucl. Instrum. Meth. A 592 (2008) 297 [arXiv:0804.2738] [INSPIRE]. R. Bernabei et al., Performances of the new high quantum efficiency PMTs in DAMA/LIBRA, 2012 JINST 7 P03009 [INSPIRE]. ENDF/B-VII.1 webpage, https://www.nndc.bnl.gov/sigma/, U.S.A. (2011). H.S. Lee et al., Neutron calibration facility with an Am-Be source for pulse shape discrimination measurement of CsI(Tl) crystals, 2014 JINST 9 P11015 [arXiv:1409.0948] [INSPIRE]. V.A. Kudryavtsev et al., Study and suppression of anomalous fast events in inorganic scintillators for dark matter searches, Astropart. Phys. 17 (2002) 401 [hep-ex/0109013] [INSPIRE]. CRESST collaboration, A detector module with highly efficient surface-alpha event rejection operated in CRESST-II phase 2, Eur. Phys. J. C 75 (2015) 352 [arXiv:1410.1753] [INSPIRE]. B. Ahmed et al., The NAIAD experiment for WIMP searches at Boulby mine and recent results, Astropart. Phys. 19 (2003) 691 [hep-ex/0301039] [INSPIRE]. COSINE-100 collaboration, Background model for the NaI(Tl) crystals in COSINE-100, Eur. Phys. J. C 78 (2018) 490 [arXiv:1804.05167] [INSPIRE]. 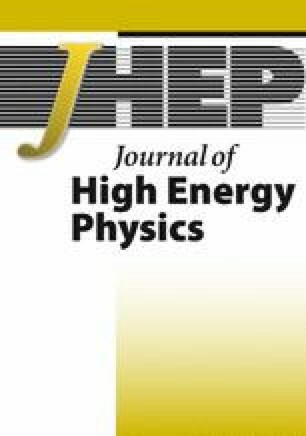 G. Adhikari et al., An experiment to search for dark-matter interactions using sodium iodide detectors, Nature 564 (2018) 83 [Erratum ibid. 566 (2019) E2] [INSPIRE].